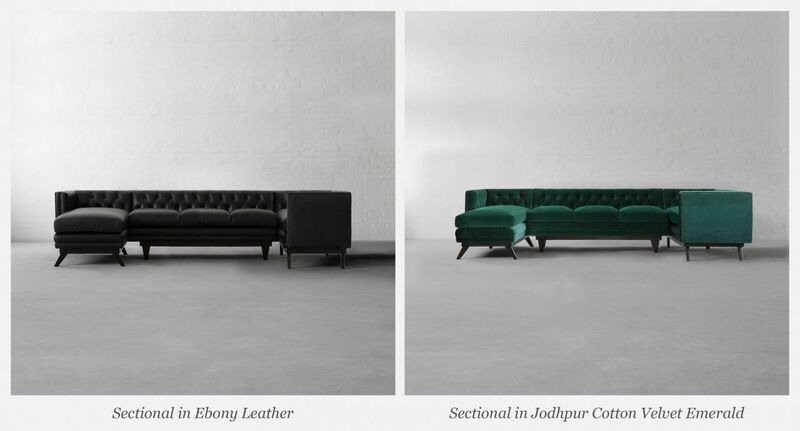 Magnificent & Magnanimous BOMBAY SECTIONAL is here! 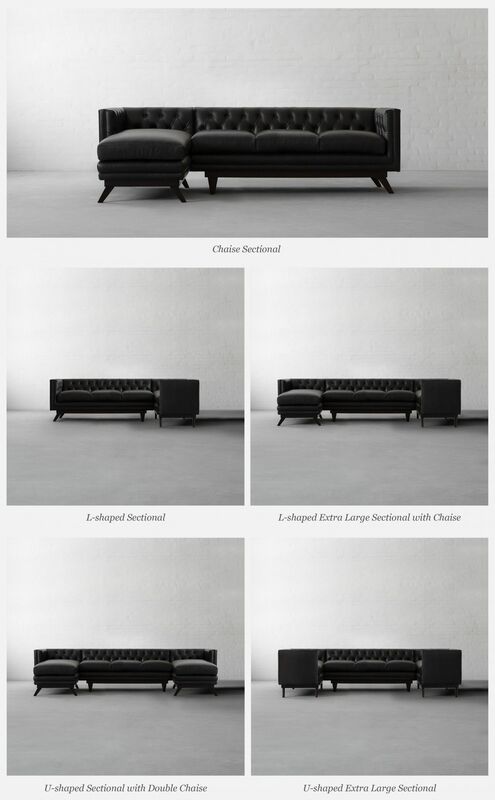 Magnificent &amp; Magnanimous BOMBAY SECTIONAL is here! The all-over tufting, the art deco legs, the stately modern silhouette; sounds like a perfect upgrade to your living room centerpiece. Our Bombay Sectional is one of the finest pieces to come from Gulmohar Lane's hand tufted collection, with straight lines outside and deep hand tufting inside. 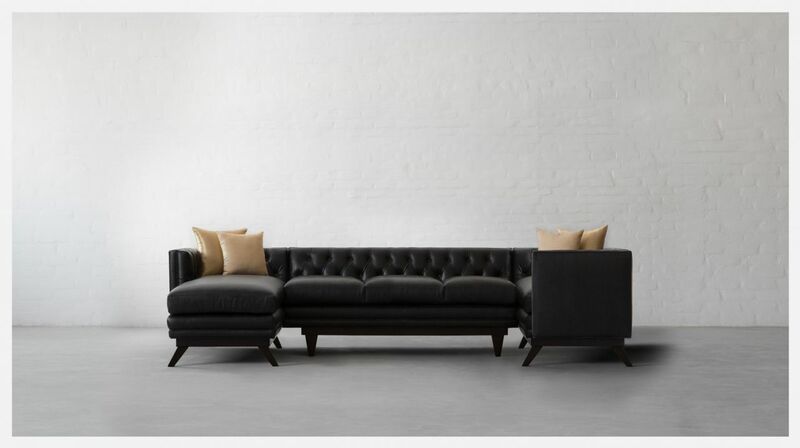 This streamlined design features a low tapered back and squared track arms with an all over tufted back. The rich colors and soft feel of leather will add depth and beauty to your room while the design of this sectional will add oozes of style! Segmented into different pieces, this sectional is convenient to move and will lend a completely new visual look to your interior spaces. 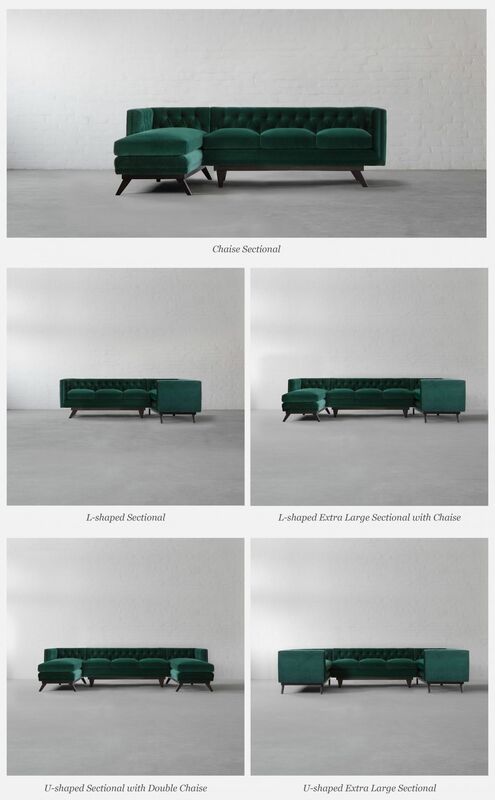 With this sectional, some mid-century vibes are sure to be added but in the most elegant way.